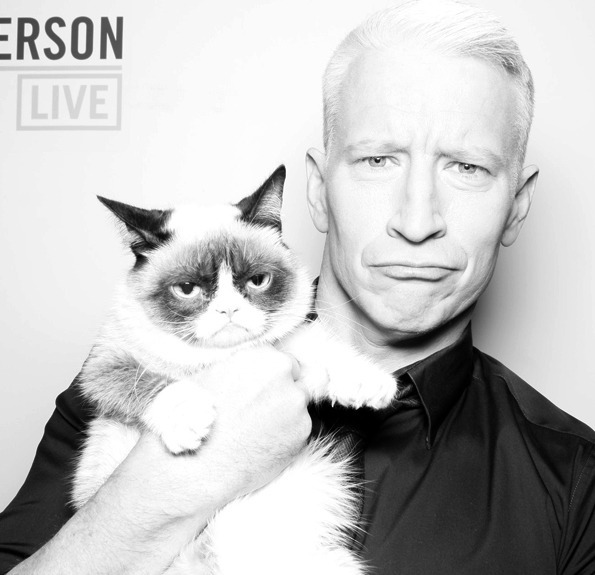 If Anderson is making fun of the expression on this cat's face, he doesn't know cats. And something tells me he doesn't like them either. The only part of the show I liked today was Grumpy Cat. She's so cute and so little! The first 15 were fun and I especially enjoyed the preview and talk about the 60 Minutes crocodile segment. Grumpy cat is so adorable and Anderson is always so sweet with pets. I love the picture! I would really love it if you can post the Grumpy Cat segment. :D She was my favourite part of the show. @Threads Lifestyle - We missed your request earlier, but posted the segment you requested on today's talk show post. Sorry and thank you for your patience.